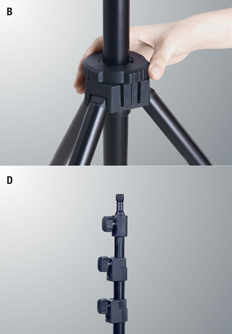 encircling clamp lock that is large, easy to grip, and fast to use. 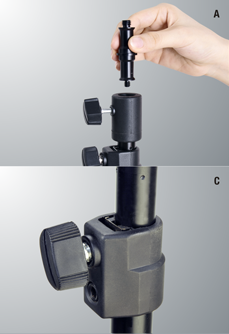 1/4" and 3/8" threads on stud mount for lights and accessories with thread mounts. Locking cross brace for an absolutely firm positioning. With large locking knob to control every section to quickly adjust the height. dropping when the column is unlocked. 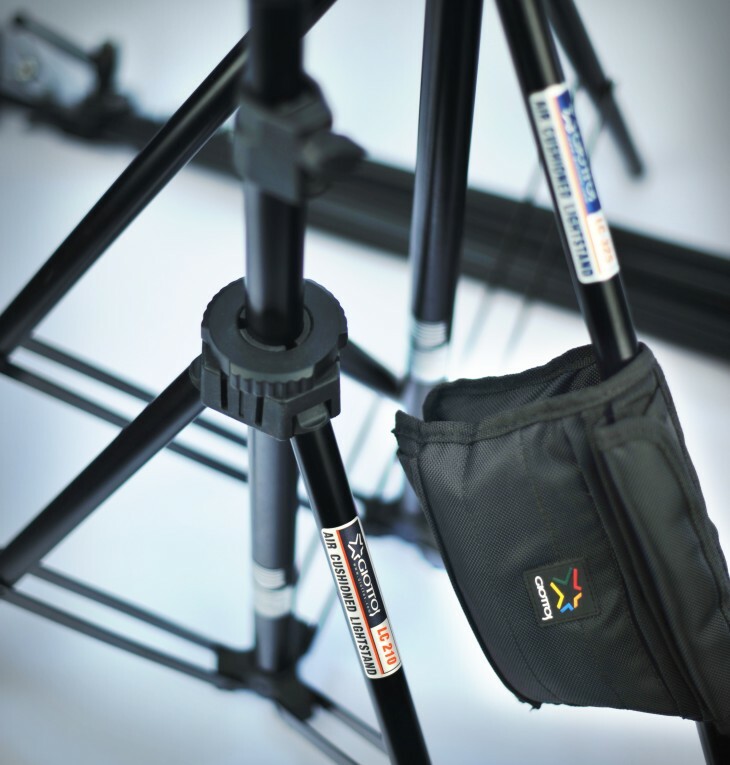 Giotto’s sandbag series are made of high-grade, high strength 1680d nylon double jacquard fabric, whose covers are coated twice to ensure water proofing. 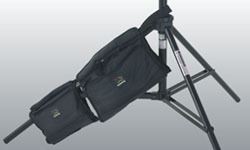 It has an internal frame, a handle attachment and the hidden strap that can be tied to the center column. 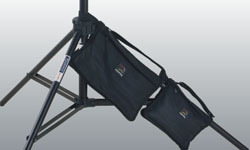 When in use they can be connected in series, to add to the total weight. 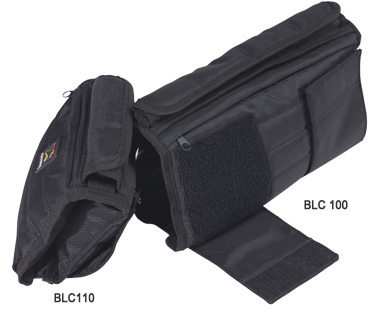 They are all two section and saddle-style sandbag. 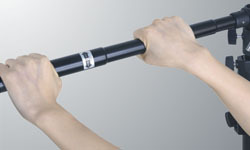 Giottos’ new cross bar is 3-section made by strong aluminum material. 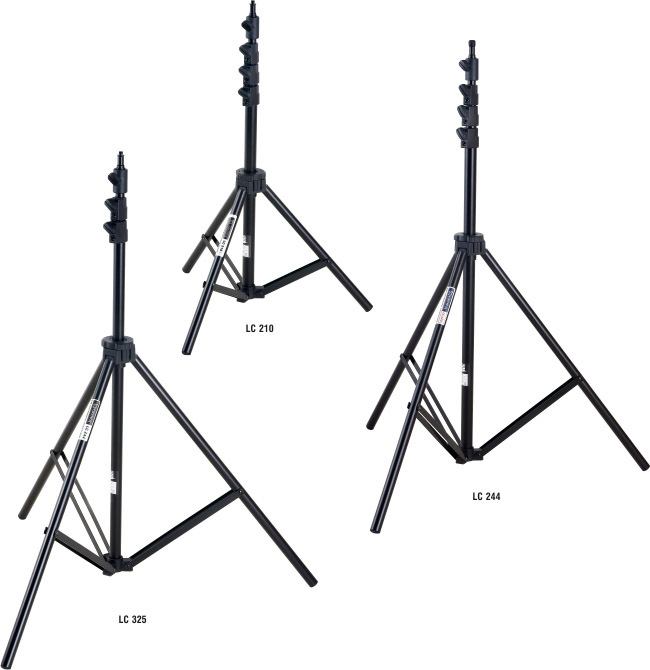 The telescope design can be extended up to 3 meters　length to fit different background roll. 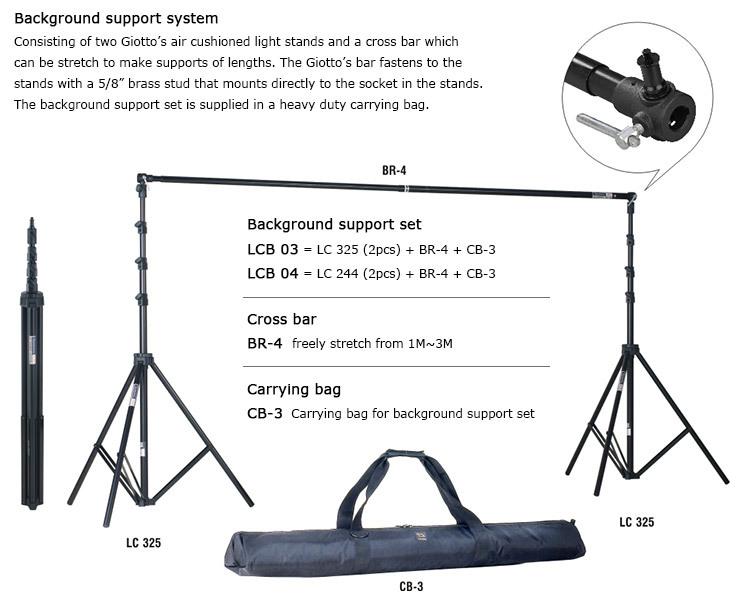 Suitable for all Giotto’s light stand series, the professional carrying bag is for the set with two light stands.